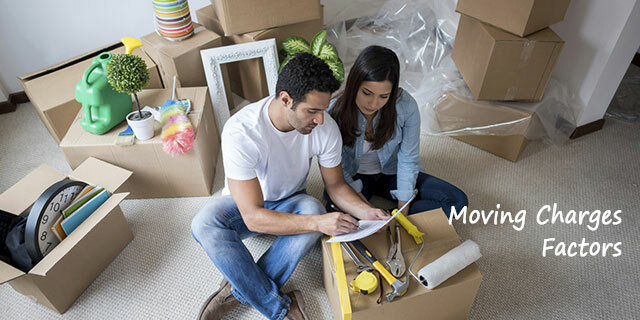 Are you planning to shift your house and thinking of hiring a professional Packers and Movers for your move? But do you know how much Packers and movers charge? No right? With the help of this link, you can know approximate Household Shifting Charges. First and foremost factor on which the price may vary is the distance between the current and destination location. It is obvious that if the distance is more than charges will also go up because of the fuel consumption and road tolls and taxes will have to pay. All you want to know the number and volume of household goods. If the volume of the household goods is more than more packing material will be used and so it will increase the price and so if numbers of goods are more than more labour and big transportation vehicle is needed. Whether you are moving locally, inter-city or domestically, your move will determine the charges of the service because the mode of transport will be different for every type of service and so will the tolls, insurance, fuel and other taxes you will have to pay. If you are residing at the ground floor then the charges are not that much high but if you residing at first floor or more than that then simultaneously the charges may increase because then he more labour and efforts requires loading or unloading the products. If you are residing at the ground or first floor and there is no lift in your building then the charges will be not that much but if you residing at second floor or more then that the charges may increase because of the labour work. A Major factor on which price may vary is when you are thinking to move such in Month-end or Mid-Month and Weekend or Week Days. Whenever you are considering to move, think twice while making this important decision. If you are thinking to shift during Month-end or weekend, then let us tell you that generally Movers are busy during the weekends and Month-Ends and they may charge you more than the standard charges. For the local house relocation, the numbers and volume of goods decide the size of the transportation vehicle needed for your relocation. So if the volume of the goods is more, the charges will go up. For local shifting one has to relocate hardly from 10 to 30 Km which will take hardly 1 to 2 hours in this case chance of damaging goods is very low. So, the packing of fragile and sophisticated items is done. This kind of packing will not charge much but if you want that your furniture will also get packed then the charges may vary depends on the labour and material used. The entire team executes the whole process and each and every person plays a vital role in pack, load and unpack. So, if you are shifting locally then the manpower is not required much for a small house like 1BHK but 2BHK or more the charges may vary. Vehicle type you select is another factor for price variation as for bit long distance transportation you have two option, first is that you can opt for a shared vehicle which will not charge much but will take a long time because they are taking 2 to 3 household goods together, another option is that you will opt a vehicle for your own goods or you can say a dedicated vehicle which will not take much time but will charge high. For the long distance shifting like 30 Km, the chance of damage will be more so Packing should be done carefully especially the fragile, glasses and sophisticated products. The quality and quantity should be good for this type of relocation. So, charges may vary on the dependent of fragile goods. For a long distance Shifting services unpacking is done by every relocation firm and so, the relocation firms who are doing they will add the extra Unpacking charges. If one is relocating from one city to another city then for crossing every passes or border the transportation vehicle has to pay some taxes and tolls. These taxes and tolls will vary as per the transportation and the city and also in few states octroi charges are applied. If you are relocating your goods for the long run then you should take the insurance to safety of your beloved belongings. Because we know everything is uncertain if there will be miss happening to your good you can claim in against of it. If any circumstances happen that you won’t get a proper place to put your luggage in a new city the many Packers and Movers companies are offering warehouse and other storage space to put your luggage safe for the time you want. The last but the strongest factor is brand value. In the market, there are so many brand companies who are providing efficient services but they are charging much as they are popular and this hike on charges is 30 to 40% in cost. So this will become the biggest factor on which you relocation service charges will vary.